In our time and day there is no need to explain people why regular exercises and workouts are beneficial for their overall health and long happy lives. With the current fight against heart disease, diabetes, morbid obesity and other major health issues, physical exercise and fitness programs have turned into daily habits – at least in people who are concerned with their health. 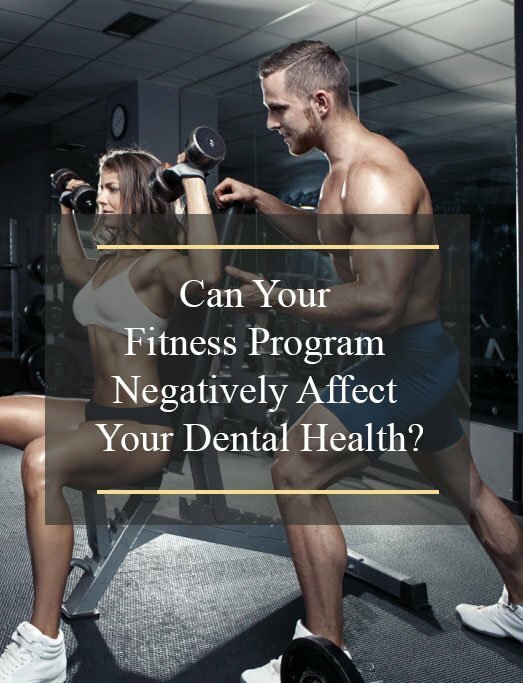 But who stopped to think for a second that active and intensive fitness programs can affect your… dental health? If we take a look at the recent scientific research, things appear to be quite straightforward: physical exercise does not only improve your general state of health, but your oral health as well. A physically fit body can support a healthy mouth, science says, as people presenting healthy body weights and high fitness levels also present significantly lower rates of gum disease. So how come can one make the reverse association and consider that intensive training can lead to oral health problems? Today we will take a closer look at recent science findings and try to better understand the mouth-body connection. How Do Healthy Fitness Programs Improve Your Dental Health? Dental health has been widely studied in relationship with diabetes, heart disease, osteoporosis, lung cancer and obesity among others. Such relationships appear to be mutual in many cases: diabetics present plenty of dental health problems, while people who present many oral health issues are at risk of developing diabetes, for instance. The connection between the mouth and the body in diabetes or heart disease has been backed up by serious research and there is no surprise to anybody that periodontitis and diabetes influence and support each other. But what is the connection between oral health and obesity or the other way around? In order to tackle this topic, we have to talk about the Body Mass Index and the factors which are weighed in when diagnosing obesity. While obesity and the lack of a healthy fitness program have been associated with coronary disease, diabetes and stroke among others, it was in the last years that doctors became concerned with the link between obesity and periodontal diseases. Such link does exist, specialists found out: people with a BMI over 30, regardless of being smokers or suffering from diabetes, have higher risks of developing periodontal disease. Unfortunately, even people who cannot be clinically catalogued as “obese” but who are overweight and not engaged in regular physical exercise are more vulnerable to develop gum, teeth and bone diseases. So How Can Physical Exercise Negatively Impact Your Dental Health? Your cardio exercises, Yoga poses or Pilates core training won’t probably cause you periodontal diseases on the long run. However, there are some results indicating a link between heavy training and exercises with periodontal disease risks. Heavy training includes elite athletes, body builders, heavy weight sportsmen, endurance athletes and many of the gym buffs working on their muscles on a regular basis. The study published in the Scandinavian Journal of Medicine & Science in Sports found a connection between heavy training and caries, tooth enamel erosion, gum disease and saliva problems. Wanting to learn why such oral health problems occurred in experienced athletes, further research focused on other variables: time spent at the gym, diets, oral hygiene routines, exercise routines, exercise intensity and so on. The results were surprising in more ways than one. The major factor negatively impacting the oral health of seasoned athletes is represented by sports drinks. In fact, sports energy drinks and electrolytes-rich drinks can damage a person’s teeth only 5 days of consistent consumption – as they literally soak the teeth and gums in acid. The way these drinks are ingested is a second major factor linking heavy training and periodontitis – taking random sips during training allows frequent exposure of the teeth to the sugar and acid present in sports drinks. Open mouth breathing – athletes and body builders often breathe through their mouths instead of their noses. This subsequently leads to dry mouth, reduced saliva flow and perfect environments for bacteria to thrive. What Can Athletes Do to Counter Such Negative Effects of Fitness Programs? Alternative hydration methods to exclude sports drinks (which are, in fact, quite dangerous for your health) and replacing them with more natural sources such as water, enhanced water (containing a few drops of freshly squeezed lemon juice and a pinch of unprocessed salt to compensate for lost minerals and electrolytes), and natural coconut water (which also helps you balance your glucose and insulin levels, also having anti-inflammatory properties). Alternative breathing methods – you can discipline yourself to breathe through your nose even when you are engaged in strenuous physical exercises. Healthy dental hygiene habits: teeth brushing and flossing twice a day, regular rinsing, regular dental examinations and cleanings, cavity treatments in the early stages etc. There is an unquestionable connection between our mouths and our bodies. Modern medicine tends to embrace a more holistic approach and consider links between illnesses and conditions it never considered before. It is not enough now to understand the main causes of overbite and its subsequent health issues. It is not enough to finally realize that periodontitis can lead to coronary heart diseases or that periodontal diseases and osteoporosis have plenty of things in common. It is also important to figure out the ways in which one healthy behavior like fitness can keep us healthy without affecting our health – not even your teeth. Author bio: Ethel Huizar is a full-time writer and a University of Colorado graduate. She believes that the state of good health, both mental and physical, is essential for every human being. Ethel does what she enjoys most: writing original articles related to health problems. Her lifetime passions – science and nature – became part of her job.